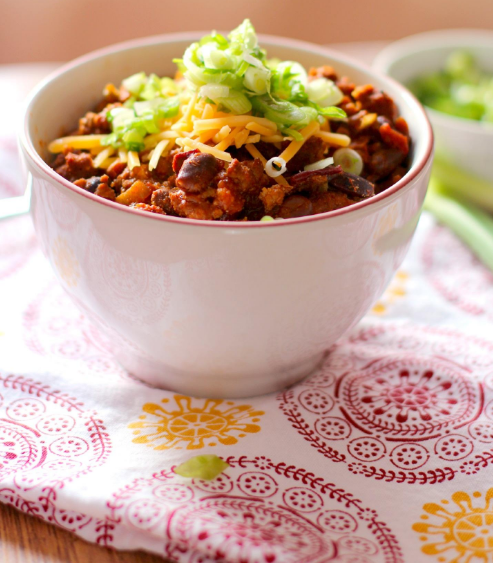 Meaty chili lovers, this recipe is for you. Why limit yourself to a single meat source when you can double up? This recipe calls for ground turkey and shredded chicken. Every bite will be hearty, tasty and meaty. It’s the perfect cool weather meal! 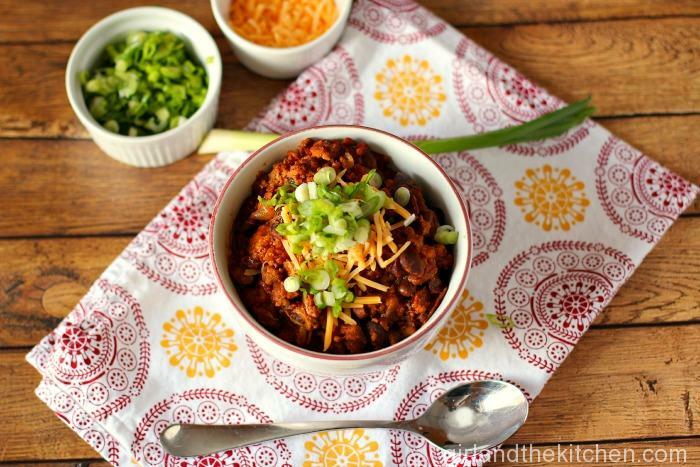 We especially love that it is made in the crockpot, which makes cooking a breeze for you. Enjoy! Coat a skillet with olive oil and sear the ground turkey until golden brown, about 10 minutes. 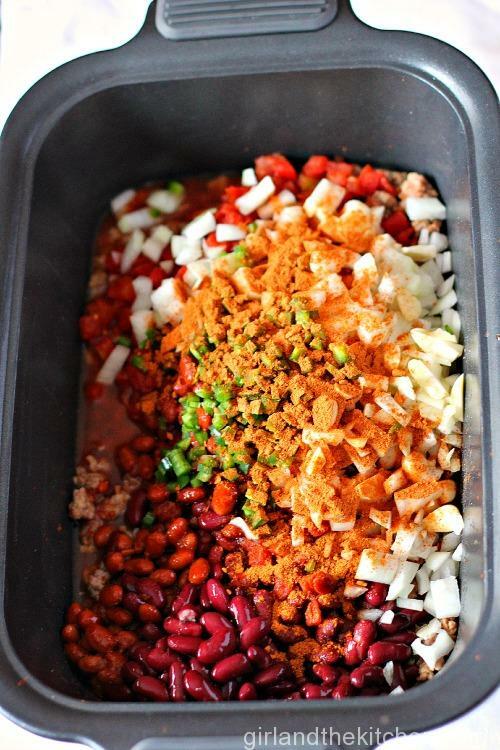 Add all the ingredients and half of the seasoning packet into a crockpot. Cook on low for 6 hours. After the first 2 hours, remove the chicken thighs and shred the meat. Add it back into the crockpot and continue to cook. Taste for seasoning. If you need more, add in the remaining seasoning packet, tasting as you go.